Try it yourself! 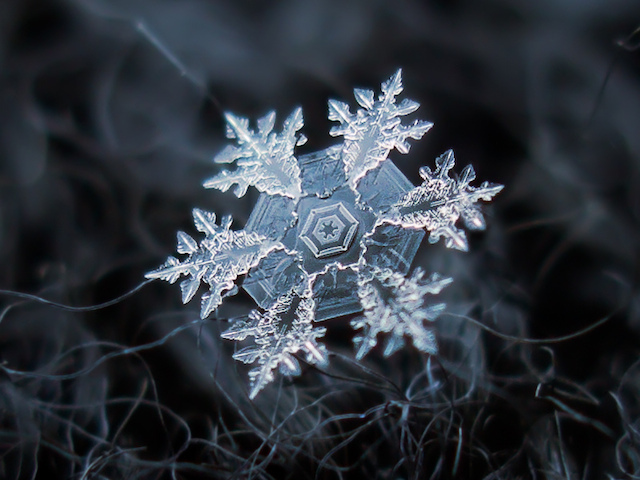 With a little preparation and a good camera and with a macro lens, you can take your own photos of snowflakes. Snowflake from Trillemarka, Sigdal. Photo by EarthSky Facebook friend Jånn Peter Normann. Thank you Jånn! 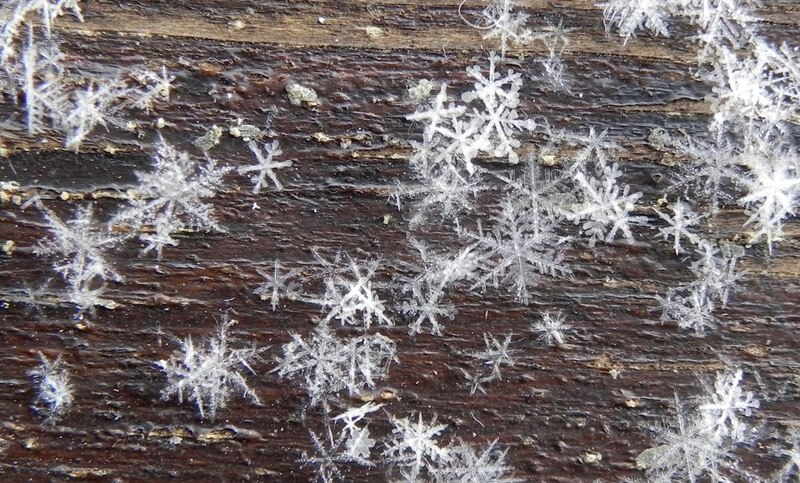 Snow crystals have a brief existence, from the time they form in clouds to when they softly land on the ground or melt on your face. But its fleeting beauty can be permanently captured in a photograph, if you have the the right lens on your camera. Most of the time, snowflakes fall to earth as loose clumps of small irregular ice crystals. But when temperatures are cold enough, individual symmetrical snow crystals can reach the ground intact to reveal a stunningly beautiful diversity of six-sided symmetrical forms. 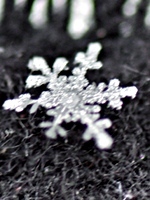 Snowflakes start out as supercooled (below the freezing point) liquid water droplets in clouds. At around -10 degrees Celsius (or 14 degrees Fahrenheit), the droplets gradually begin to freeze. This triggers a complex chain of events; when a droplet freezes to become an ice crystal, some of its neighboring supercooled liquid droplets evaporate to release water vapor into the surrounding air. 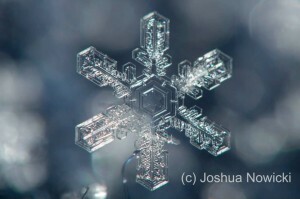 Those water molecules freeze onto the ice crystal, more water molecules freeze over it, and a snowflake begins to grow.